Dogs are kept as pets by many at homes. 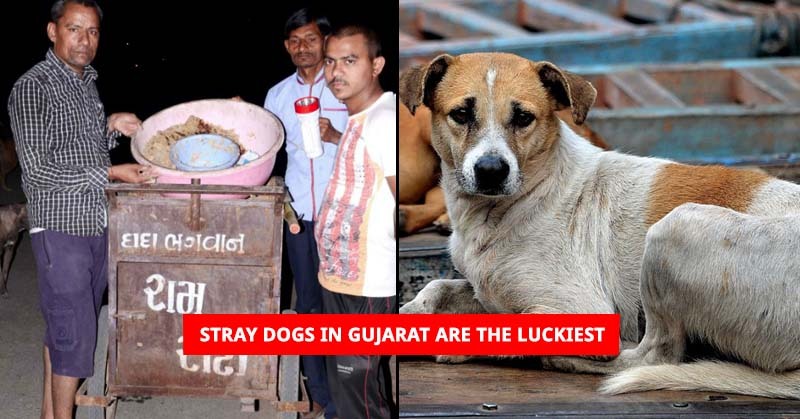 But, these dogs are more than lucky. 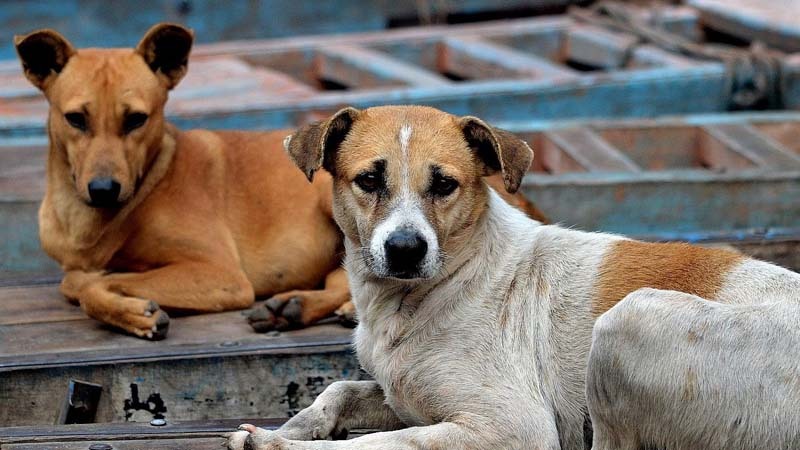 Meet the dogs of Panchot village, near Mehsana, who are landed sentries. 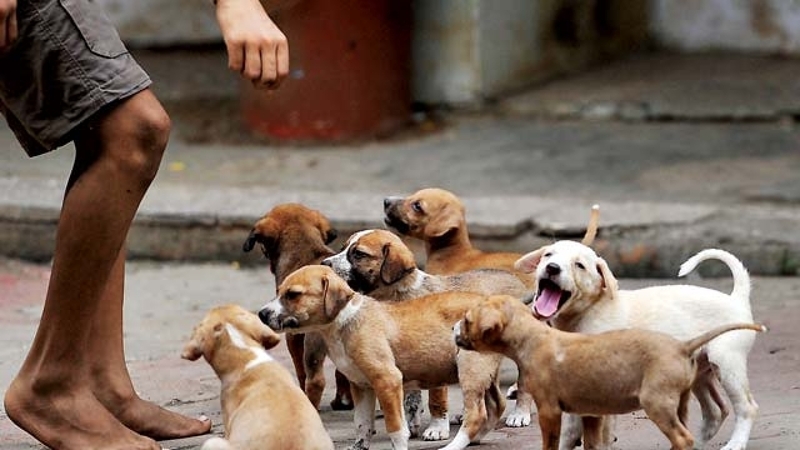 The canines draw income from the land, benefitting from crores over the years. 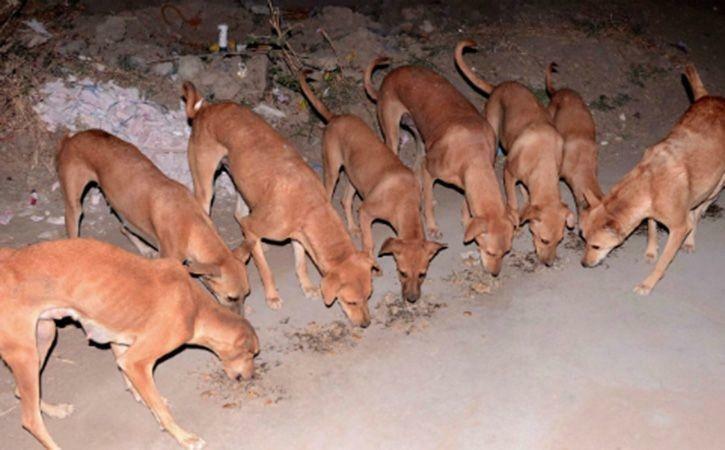 In the past decade, the construction of Mehsana bypass towards Radhanpur has sent land prices soaring and the biggest gainers are the village’s dogs! An informal village trust, known as ‘Madh ni Pati Kutariya Trust,’ holds about 21 bighas of land. So the land is not really in the dogs’ names. But the entire income from the land — from an annual auction for farming — is set aside for the dogs. While the land price near the bypass today is, on an average, Rs 3.5 crore per bigha. 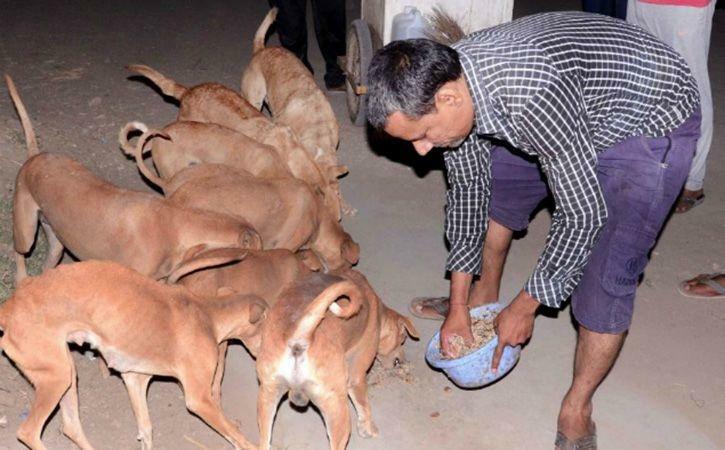 Therefore, the 70-odd dogs benefiting from the trust could easily have more than Rs 1crore. A group of Patel farmers — notably Prabha Lallu, Chatur Viha, Amtha Kaluand Lakha Sheth — started the administration of the land about 70 to 80 years ago. Patel said that almost all the land came to the trust at least 70 years ago. However, as Panchot developed and land prices rose over the past decades or so, land donations have stopped. As for the land that has been transferred, there is no formal documentation and land records still reflect the name of the original owner. “None of the landowners has ever come back to reclaim their share, irrespective of their financial condition,” Patel said. “It is considered taboo to feed off the land which has been written off for animals or social service.” Patel’s aunt had donated 2 bighas. Every year, each plot in the trust’s land bank is auctioned before the sowing season. The highest bidder gets tilling rights for a year. The money — close to Rs 1 lakh — goes into sustaining the well-oiled system. Dashrath Patel, one of the descendants of the families. That had donated 1.5 bigha land for the cause, said that the village takes pride. In the fact that it has created such a robust system of serving animals. “One of the reasons could be the religious nature of the population,” said Dashrath Patel, who is the husband of the current sarpanch, Kantaben. “The village has 15 temples for a population of about 6,000,” he said. 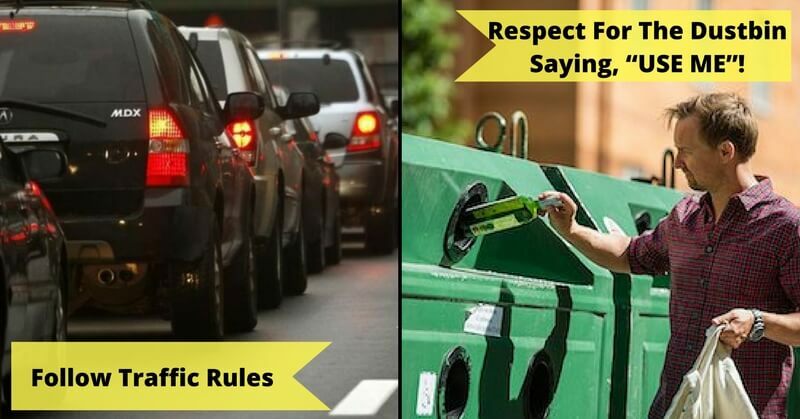 “The culture of caring is passed from one generation to the next. 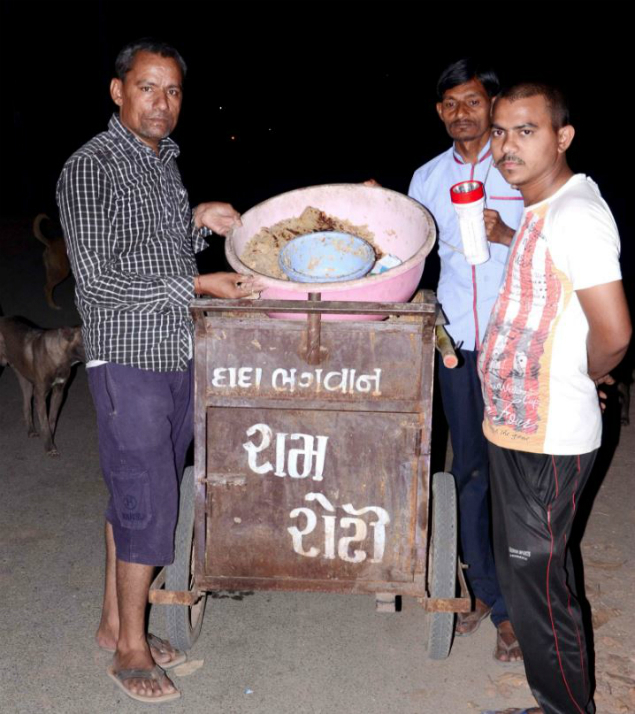 I remember joining the community initiative to make sheera for the dogs about 60 years ago.” He said that these days 15 persons take the responsibility. Of feeding rotla (pearl millet flatbread) to the dogs without taking any money. “Even the flour mill owner doesn’t charge us,” he said. In 2015, the trust constructed a special building, known as ‘rotla Ghar’, where rotlas are prepared by two women. They make 80-odd rotlas every day with 20-30kg flour. Volunteers load a handcart with rotlas and crushed flatbread and start off the distribution drive at about 7.30pm. “It takes about an hour to complete the round of 11-odd spots. 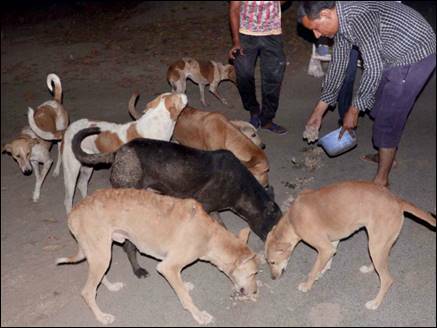 Where there are large populations of stray dogs,” said Govind Patel, 35, one of the volunteers. 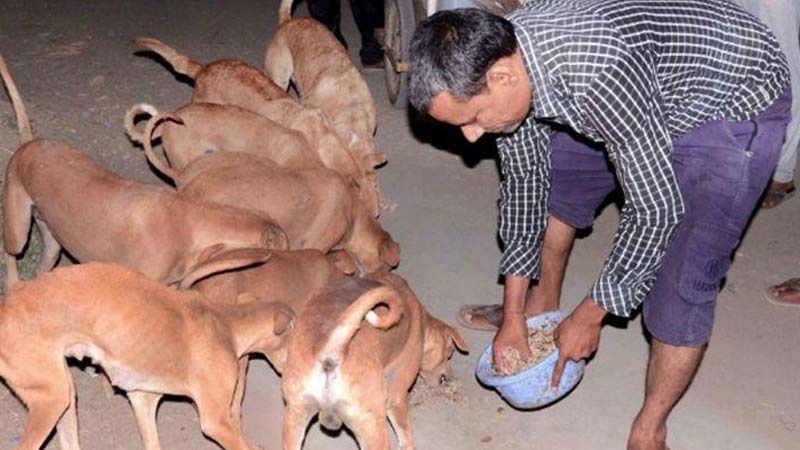 “The dogs living in the village are fed by the local population. The handcart serves dogs living near farms and on the outskirts. Twice a month — on a full moon and new moon days — we also serve laddoos”. 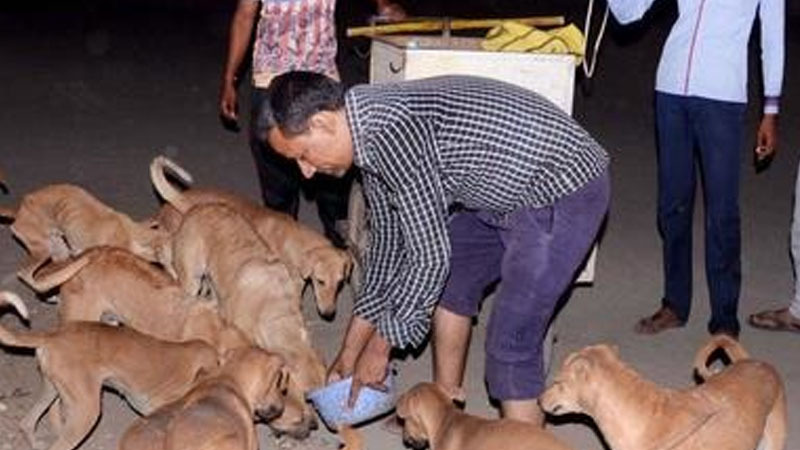 Govind Patel works in Mehsana but always joins the canine-service run in the evening. While He says that serving humans and animals is a way to serve God. Patidars (Patels) are in the majority at Panchot. Thakors and Prajapatis are other major communities in the population. The well-to-do village is primarily engaged in farming and trading. While a very large population commutes daily to Mehsana for livelihood. 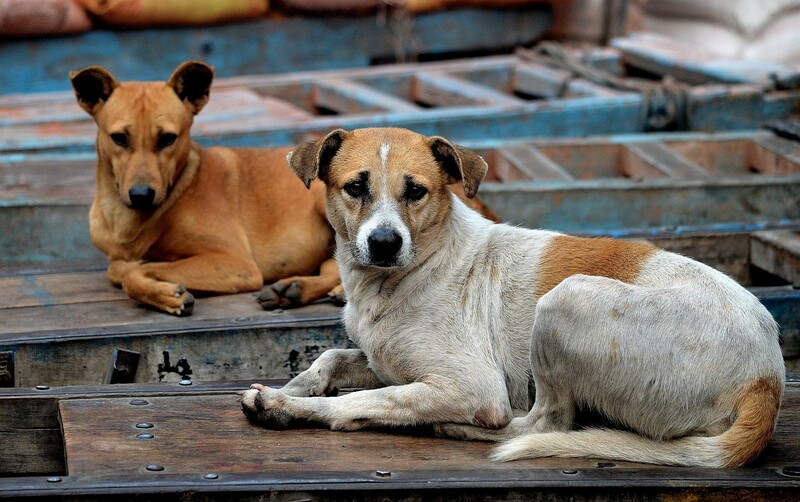 Despite the name of the charitable tradition, kutariyu, villagers do not focus on dogs alone. The trust’s volunteers reach out to all birds and animals. The trust receives over 500kg of grains for birds annually, especially on Holi. Bereaved families make significant contributions. So Abola Trust at the village, also identified as Shivganga Animal Helpline, has an air-conditioned burns ward for cows. So it has different units for birds, monkeys and other animals. Incidentally, ‘Abola’ means ‘Those who can’t speak’. Dahyabhai Patel, a former administrator of the trust, said that while many villages in Gujarat. Have a glorious history of compassion to animals. Through initiatives such as sustaining chabutara (bird-feeders) and panjrapols (animal shelters). 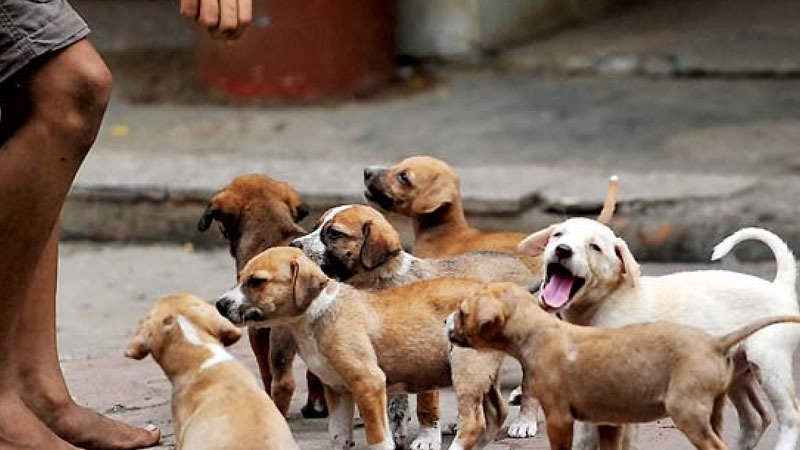 While Panchot has provided a sustainable model through which animal welfare can be achieved. “We hope that the generations to come will continue the practice,” he said. Aren’t you jealous of these dogs? They are crorepatis. And here we are striving hard to earn money! 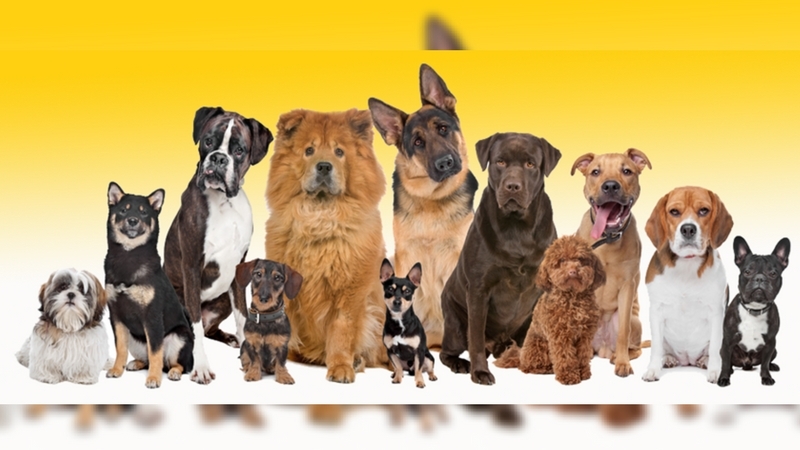 Do you know about this luxurious hotel for dogs? Find out more here.